Many astrologers find that a graphic ephemeris with visuals of the planets' paths through the zodiac is an extremely useful tool. Knowing this, we've added the very finest graphic ephemeris as a Win*Star 6.0 feature. With it you can create a remarkably useful graph displaying all sorts of astrological combinations for time spans you prescribe. This tool is loaded with features. We provide a batch of pre-designed graphs which are ready to go — you just provide the time span; or you can create your own ephemeris, selecting from a wide array of possible features. You may find this graphic ephemeris becomes a frequent companion as a helpful reference. 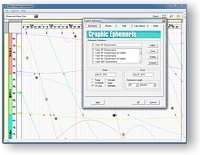 Pre-designed Graphs The program comes with 15 graph formats and you can create others, name them, and save them to disk. Planet/Point Selection Choose from Win*Star's 6.0 full array of planets, asteroids, midpoints, Lilith and Uranian points. Customize to Suit You can select from 14 house systems, nine coordinate systems, and either Tropical or Sidereal Zodiacs when creating an ephemeris. Display options You can decide how the graph should look — with or without grid lines, color choices, font size, whether to include aspect data (transit-transit, transit-natal, or both), and more. Any Time Span Select time periods and start dates for graphs. 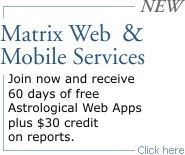 This information is also saved with your form. 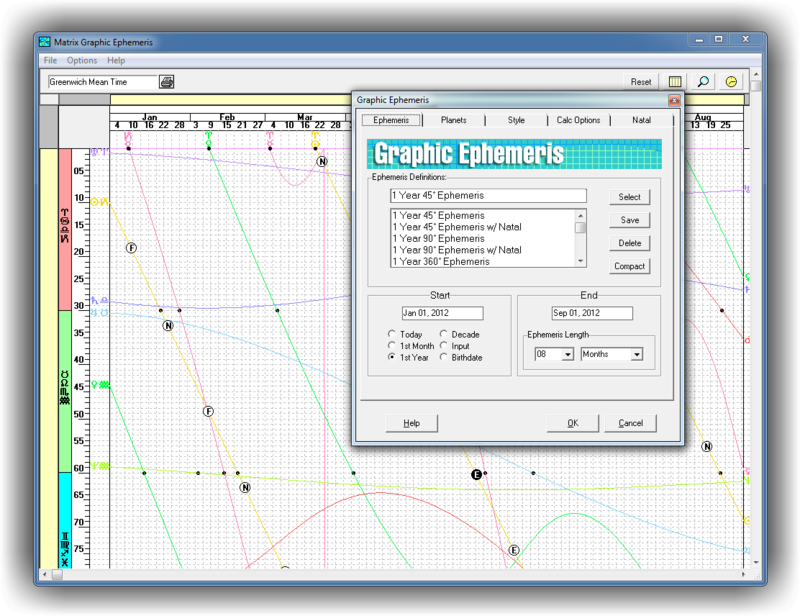 Printing options Print the standard graph or output as bitmap file (for desktop publishing, etc.). Ephemeris Types Select the type of ephemeris — transit, solar arc, secondary progressed, Naibod or degree for a year. TimeLine Click on the TimeLine to get red date line and degree line "cross-hairs" which, when moved to any position, tell you the date and the degree of that point. Customize Generate ephemerides in almost any combination you can think of.